Halloween is right around the corner…but if you’re moving, the scariest things could be right in your own home! There are a number of items that are just a nightmare to move no matter how far they have to travel. Over the years we have taken stock of which items seem to be the trickiest for our clients, and sometimes even for professional movers. Don’t get tricked by these scary items during your move! 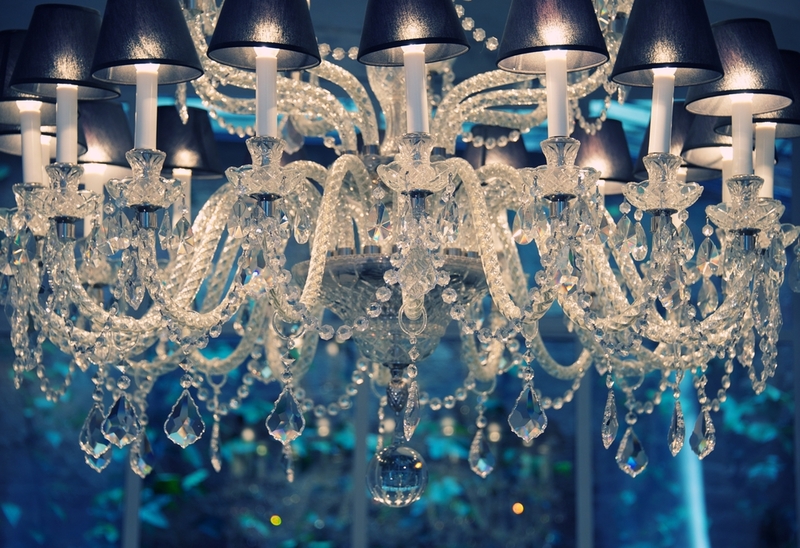 The removal of a chandelier can be super tricky, let alone securing the electrical components and protecting all of the delicate parts once the fixture is down. Dismantling is also sometimes needed before each part can be carefully packed away. No matter which way you flip, couches always seem to give people trouble going through doors and down the stairs. And some couches are so heavy it takes a team of moving bovines to get them onto the truck! There is an entire process for moving refrigerators to make sure there are no leaks or loose doors that could cause problems along the way. That’s even before you begin to think about the food inside and defrosting the fridge. Even when you have the right equipment, refrigerators require planning and strategic moving skills to get them out that door. The slimmer TVs get, the more delicate they seem to be. If the TV is up on a mount, it makes the moving process that much more cringe-worthy. The best bet is to use custom packing boxes that are made for you size screen and to place it between mattresses on the moving truck. It can be a writing desk or a vase, but the anxiety is always the same. No matter what the family heirloom is, moving it from one home to the other is usually stressful. A quality moving company is going to take the time needed to assess the situation, use specialized tools and packing techniques that protect the heirloom from every angle! Just taking a pool table apart can be a nightmare. Our expert movers are experienced at packing and moving a pool table quickly, but for others it can easily put your schedule way behind. Glass, electronics and living creatures – it’s a trifecta of terror on moving day. Aquariums can’t be moved on the fly. You have to plan ahead so that your fish have a temporary home during the move and conditions remain as ideal as possible to ensure nothing breaks and your fish remain healthy through the move! A piano is easily the heaviest item in a home. Piano movers are often needed to get these oddly shaped heavyweights transported without doing damage. The bits and pieces of a grandfather clock fit precisely for perfect timing. To avoid throwing everything out of whack, grandfather clocks must be disassembled and then reassembled once you’re in your new home. If these items are making you scared thinking about how you’ll move them, give Square Cow Movers a call. Our fearless moving crews have faced these beasts before, and they can take the terror out of your move!